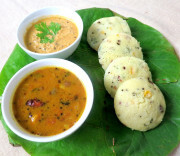 Idli is a poular southern Indian tiffin item but now popular snack every where. 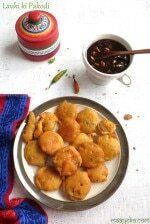 Though its a breakfast item but is also enjoyed for lunch and dinner and kids loves to carry Idli in their school lunch boxes. 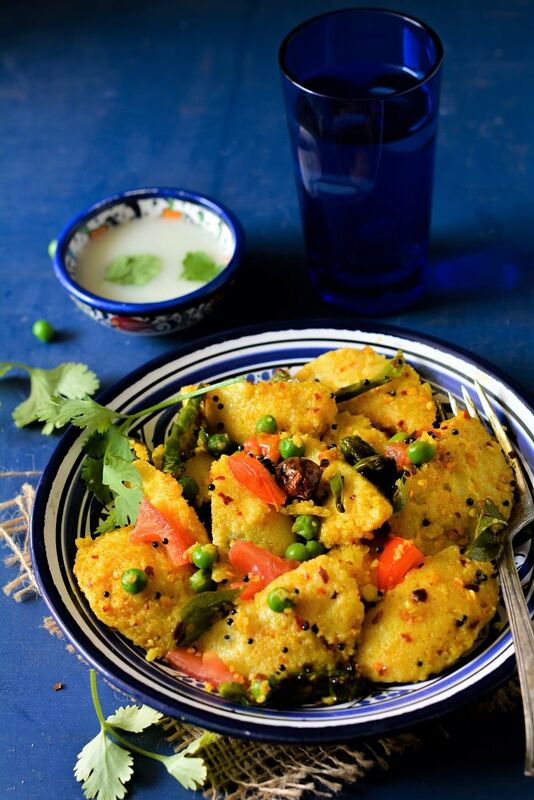 When we make Idlis often we are left with some extra Idlis which we refrigerate to use later .This Masala idli is a quick and easy way to enjoy leftover IdliS in a new delicious tangy avtar. I have seen my cousins make tomato gravy and add sliced idli in that masala but my version is a really quick and easy version. If you are using refrigerated cold Idlis then sprinkle 2 tbsp water on the Idli’s and then micro heat for a minute or steam in a pot or in the Idli cooker for few minutes. 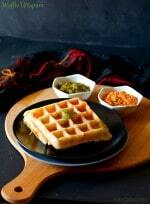 If you are using fresh Idlis to make Masal idli then no need to sprinkle water add them directly after slicing. 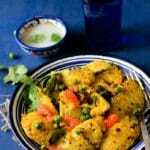 In This Masala Idli recipe I have used only peas and some chopped tomatoes but you can add finely chopped vegetables of your choice at step 3 to make it more healthy and colourful. 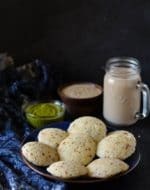 In case you dont have sambhar powder then can use Malagapodi or pavbhaji masala but I personally loves adding sambhar powder.Do Try this easy and delicious Masala Idli and give me your feed back ! Heat oil in a pan and add mustard seeds and when they start crackling add sliced green chilies,whole red chili and the curry leaves. 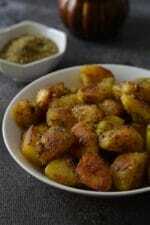 Saute for few seconds and then add the green peas,salt ,turmeric and cover and cook for a minute. Add chili flakes, sambhar powder, and 1/4 cup water. When it start boiling immediately add the lemon juice, sliced Idlis and the chopped tomatoes and stir gently so all moisture get absorbed in the idli pieces.